Fluorescent and with reflective tapes. Teflon® makes the product dirt resistant. Triple stitched seams at leg and crotch. Belt loops. D-ring. Fly with zip. Front pockets. Ticket pocket. 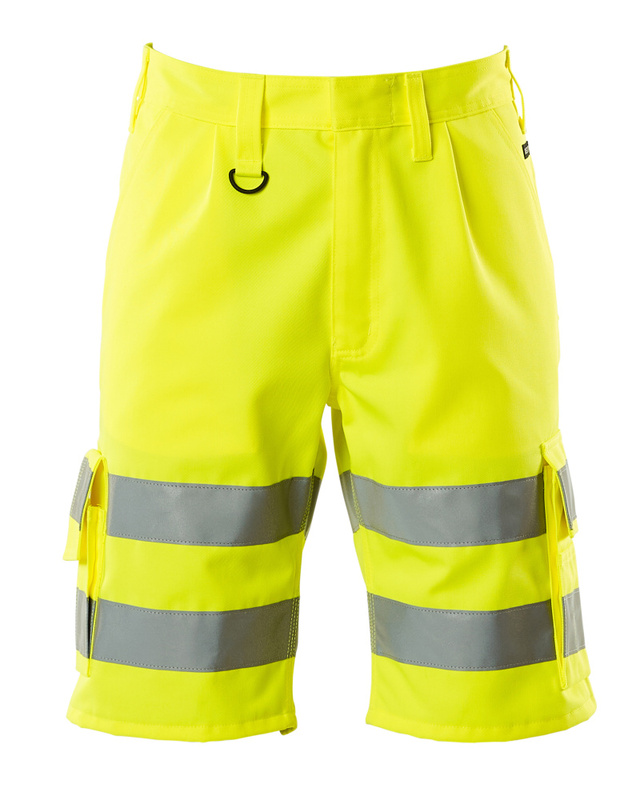 Reinforced back pockets - one with flap and hook and loop band fastening. Adjustable hammer loop. Thigh pocket with several compartments, flap and adjustable hook and loop band fastening. Thigh phone pocket with flap and adjustable hook and loop band fastening. Ruler pocket. The product is certified with maximum 0,2900m² logo area. This approved area must not be exceeded. Logo on, respectively, front or back of the product can constitute only a maximum of 50% of the total approved logo area in order to maintain the EN ISO 20471-certification.